All applicants are required to submit a brief Project Outline, prior to submitting a full application. Your Project Outline should contain information under the following headings: Species, Organization, Project Manager, Goals, Proposed Outcomes and Other funding Sources (both requested and received). Project Outlines will be reviewed and successful applicants will then be invited to submit a full application. Full applications will not be accepted without a Project Outline having been submitted and approved by the review committee. A copy of a Species Action Plan for the species, or other planning document which includes reference to the project, specific objectives and timelines for meeting those objectives. The plan should have been developed in conjunction with all relevant stakeholders, including those working with the species and/or it’s habitat in the wild. 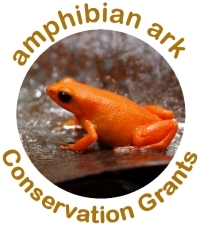 Inadequate planning is one of the biggest causes for the failure of amphibian conservation programs, and we expect to see appropriate planning in place prior to a program being implemented. A Species Action Plan template is available on the AArk web site, as are existing Husbandry Documents page for reference.